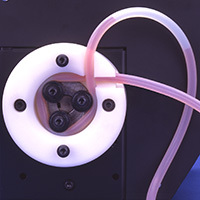 Class VI, platinum-cured silicone elastomer comprises AdvantaPure's peristaltic pump grade silicone tubing. Ideally suited for pharmaceutical, biotech, and laboratory environments, AdvantaSil® APSPG is specially formulated to withstand repeated compression and release for consistent, dependable performance – far outlasts standard silicone tubing. 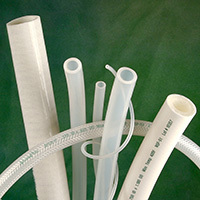 APSPG platinum cured pump tubing has undergone extensive physical, chemical, and biological testing, and meets USP Class VI, FDA CFR 177.2600, ISO 10993, and European Pharmacopoeia 3.1.9 standards. Full BPOG standardized extractables test protocol is in process with a fully-accredited, third-party test lab.